In the world of marketing there is a huge discussion centered on the shortened attention spans and how the industry must customize their approach in order to be better, faster and much more compelling. In many cases you only have 140 characters, or three seconds to grab a consumer’s attention. So what is it that you can do as a marketer that will create a genuine impact on your actual business? The following information is tips from experts on the strategies and tactics that are able to be used and produce results in the next 24 hours in order to improve your entire marketing strategy for the long haul. With these tactics you can help to attract, engage and convert more leads, customers and prospects. This is the “window to the soul of your business.” The about us section provides you with a unique opportunity to showcase the personality of your actual brand and to provide a differentiating factor from all of your competitors. However, most About Us pages are usually just used for boring facts and figures, along with vague descriptions of why you are bigger, better and different. There is a three step check list that you can implement today in order to revamp and refresh your about us section. Step 1: Ask some of your regular employees, not your marketing team, as well as your customers to read through the current about us that you have and provide you with candid feedback of what it does well and in what areas it falls short. Step 2: Compare your about us to that of your competitors. If you added no other context, would you see the difference in your company from the others, just by reading this section? Step 3: Find a brand that you admire and then look at their about us section. Try to immolate them and make your about us section more engaging. Once you have done these steps, you should optimize this page with keywords, just like you do the other pages. Number 2: Make great business videos; sans the babies and cats. Chances are if you go online, receive email or just browse around, you are sick of the videos that use babies, cats or memes to sell you a product. The fact is that video is a great way to foster growth, but you have to create your video with intention. This means that you align your goal, or what you want your customer to do, the target audience and a central story. One of the biggest mistakes that any business that creates a video does is attempting to make a video to “go viral.” Instead you should focus on a certain population or a specific need of your business in order to create a video that has a specific goal. A video can be used for a number of different purposes, from generating leads to referrals and customer assessments. However, you need to take time to determine how a great video can best benefit you and your business. Do you constantly hear the same objection about the purchase process of your products? If so, then you can leverage a video that will distance you from your competitors and tell the actual story of the value that accompanies your higher price. Take time to measure the current impact of your video marketing efforts. Have the videos you have created accomplished the objectives you created them for, such as increasing referral traffic, creating more brand awareness or improvement of your conversion rates? If you don’t know, or the answer is no, then you need to take time to create a script for a video that will address the primary market challenge that you are facing. Rather than trying to create a “viral” video, you should work to make a video that is truly remarkable. 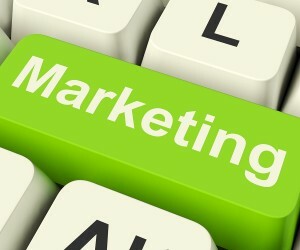 There is no question that on many days it may seem as though your job as a marketer is never complete. You have to find a way to balance your strategy and your execution with your content and conversion and social and SEO efforts. These two tips alone can help you create better marketing strategies that actually produce the results that you are seeking.